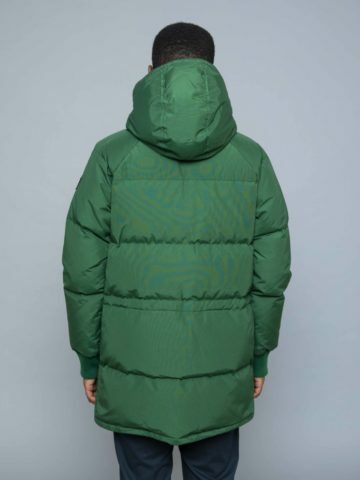 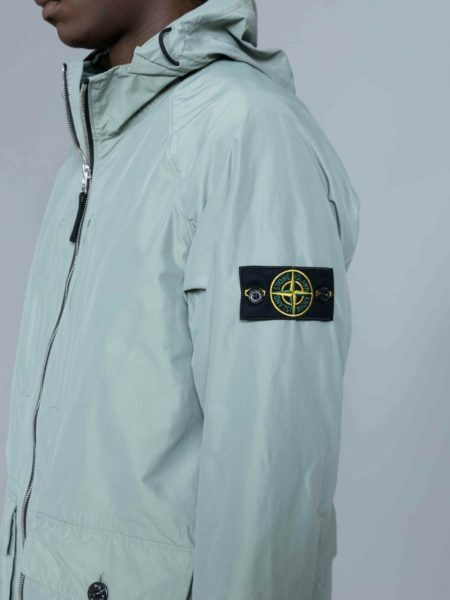 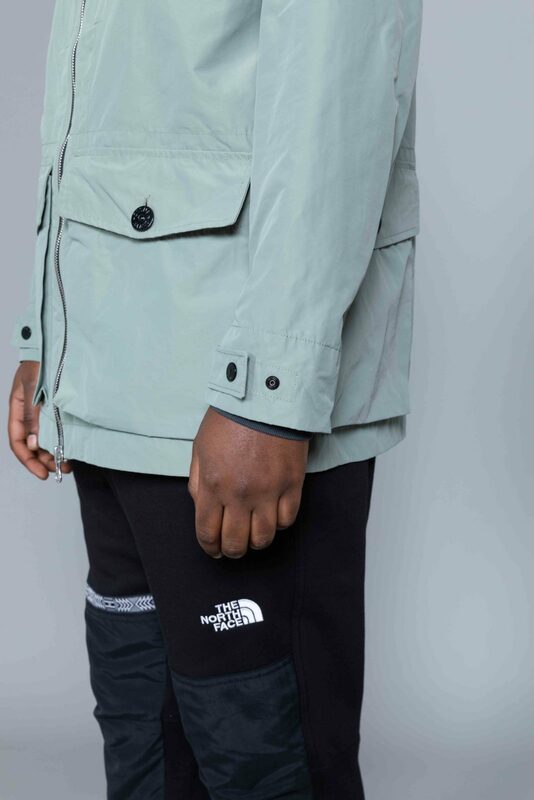 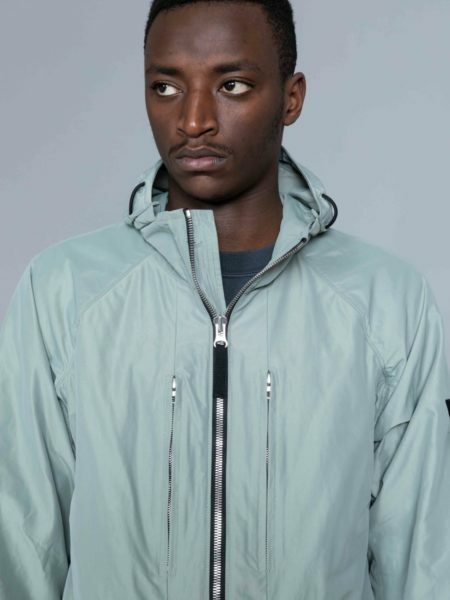 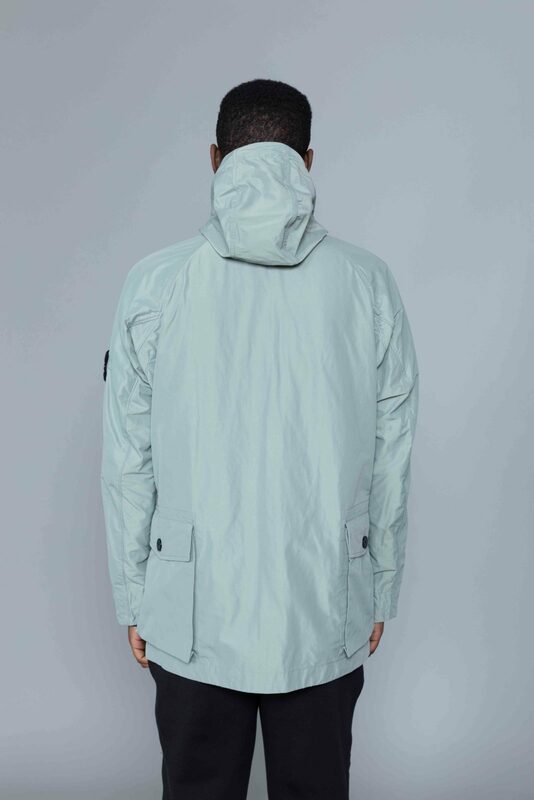 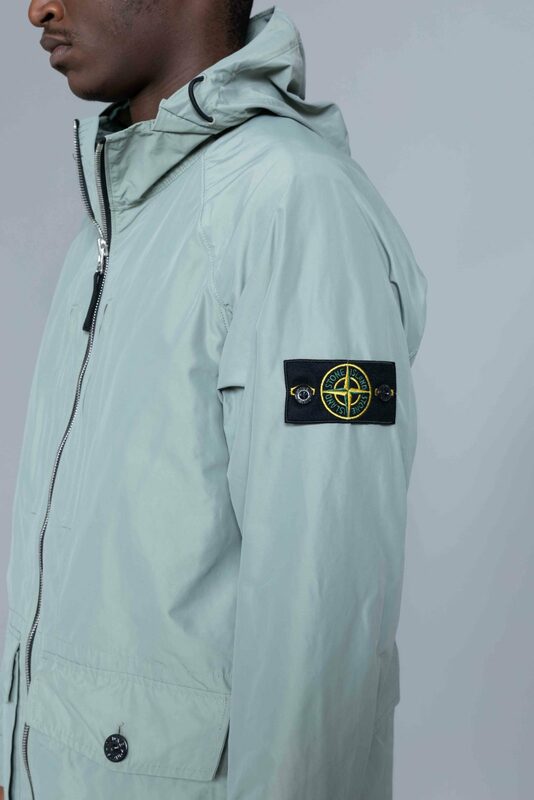 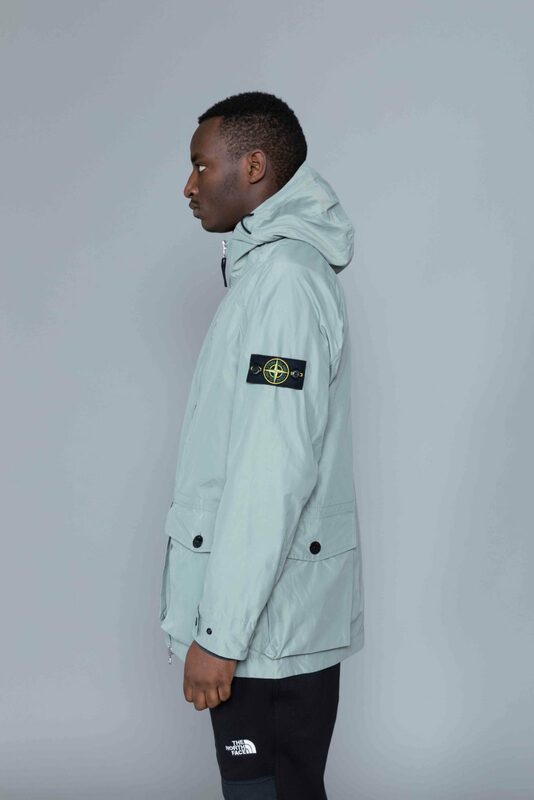 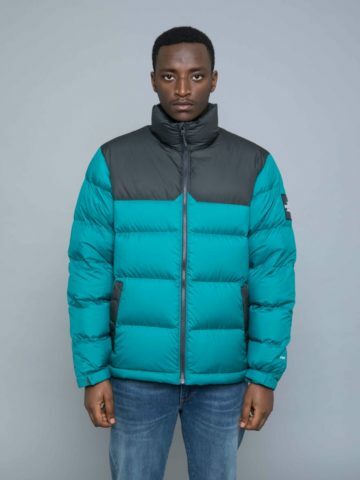 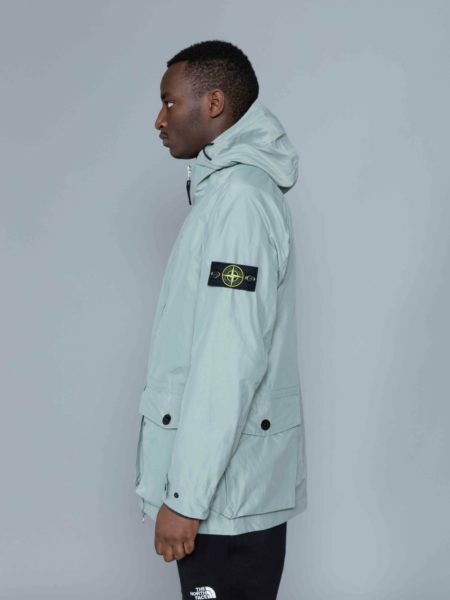 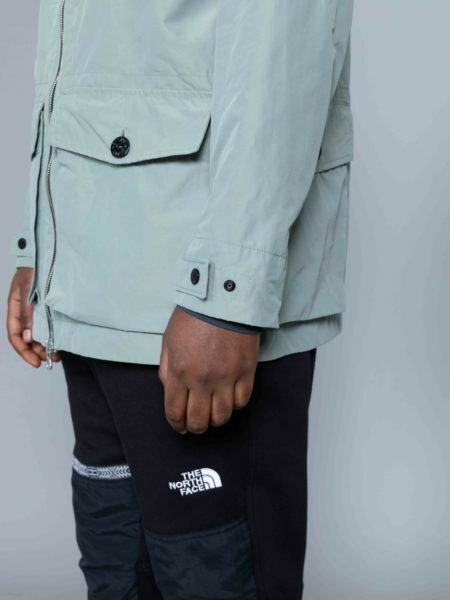 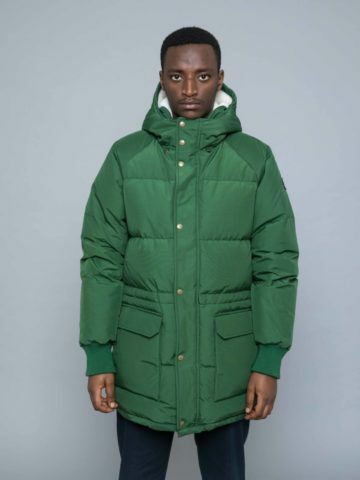 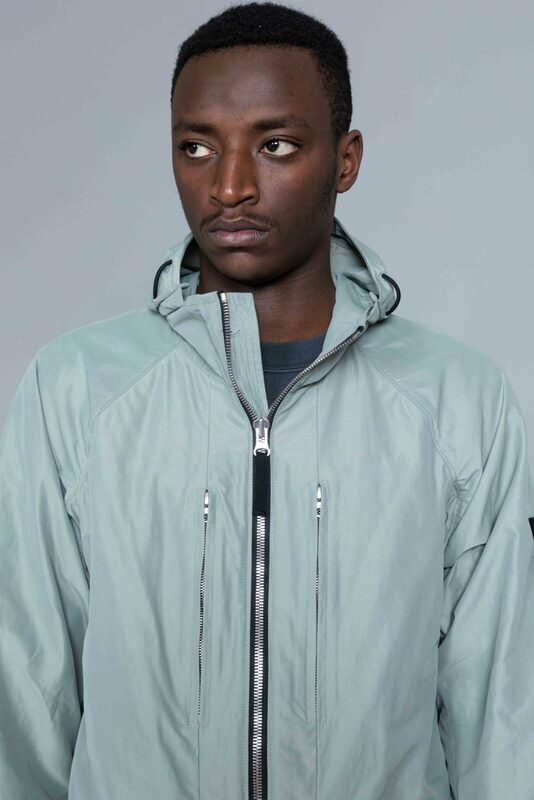 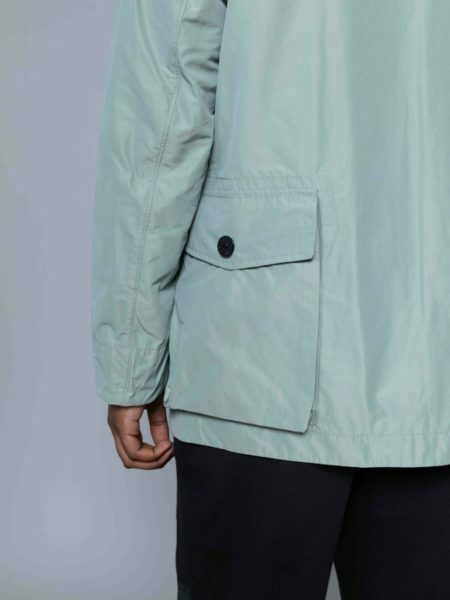 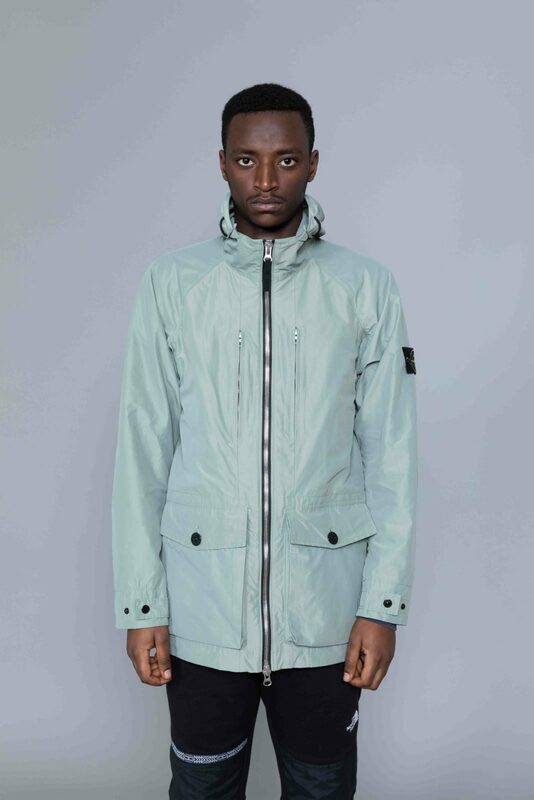 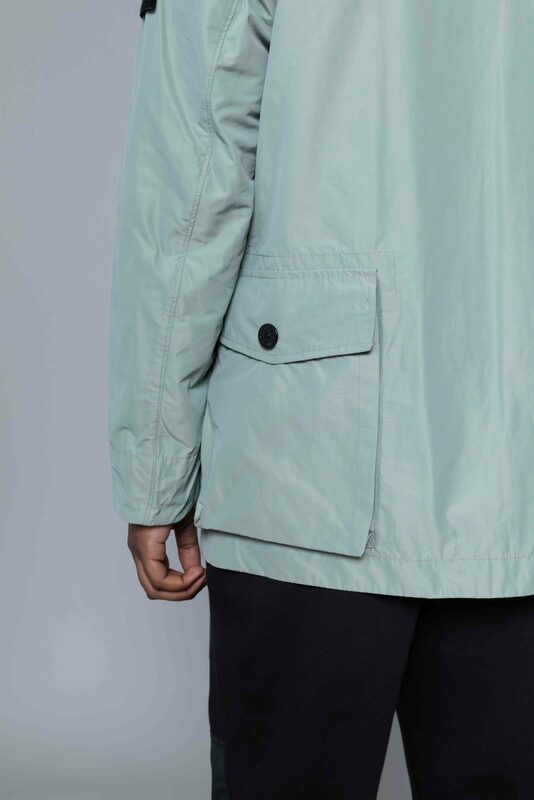 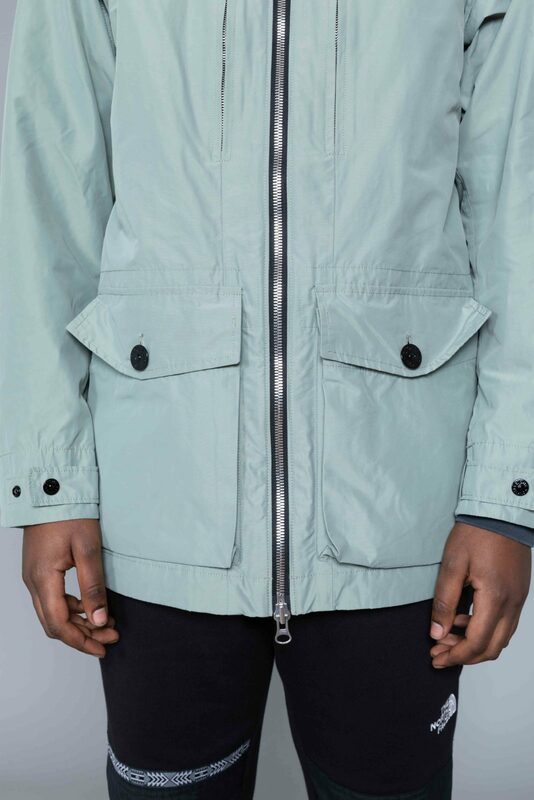 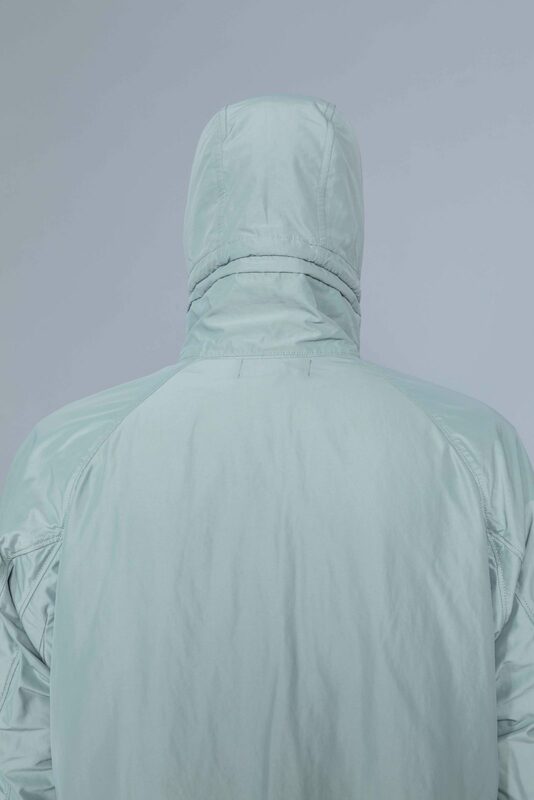 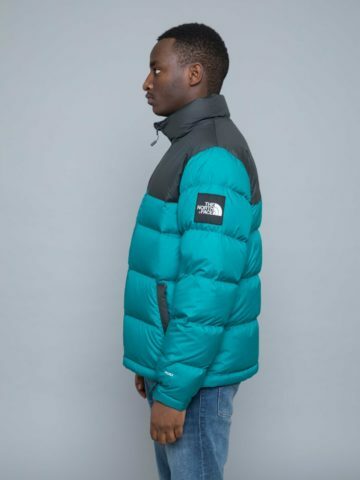 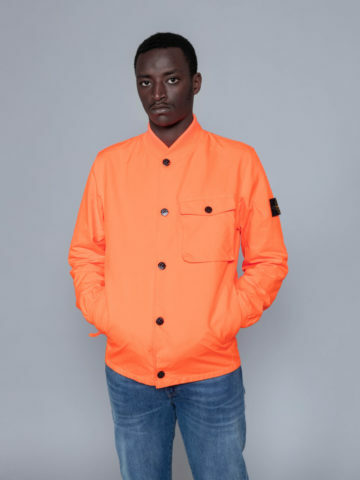 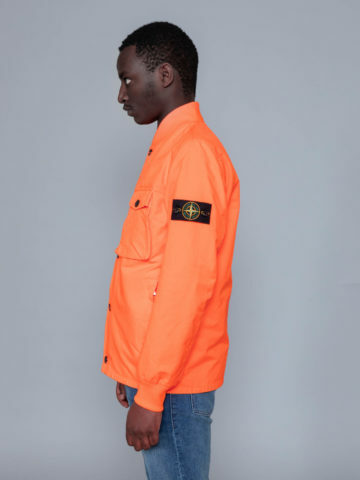 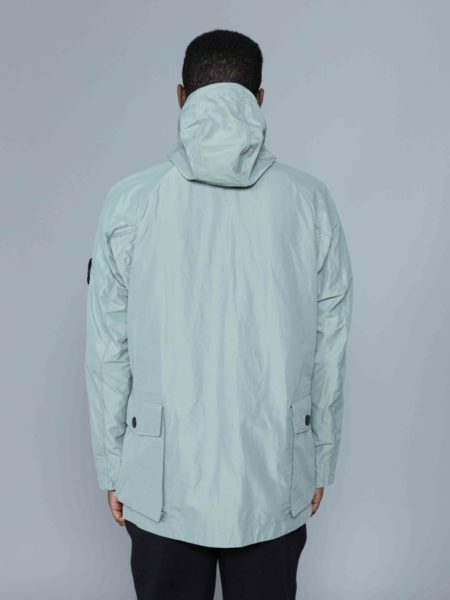 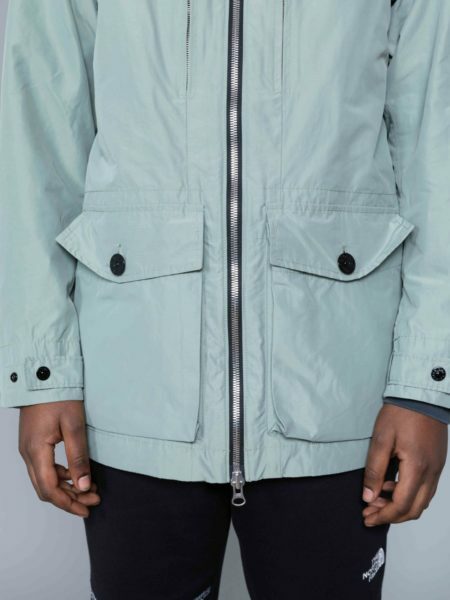 Stone Island Micro Reps Jacket Sage is cut from military polyester nylon rep. Yarns are woven tight, in order to give a wind proof jacket. 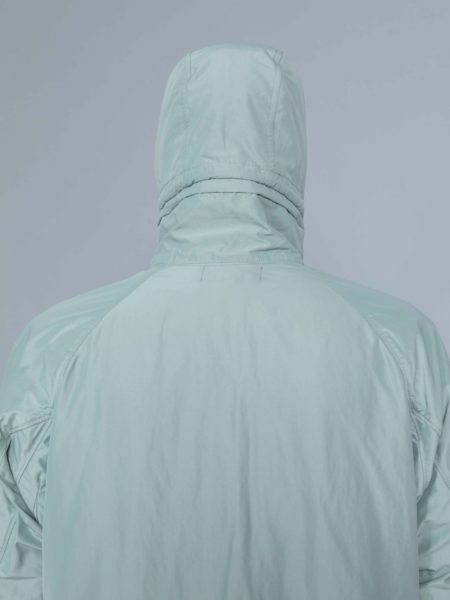 A final spray with special agent makes the surface anti-drop. 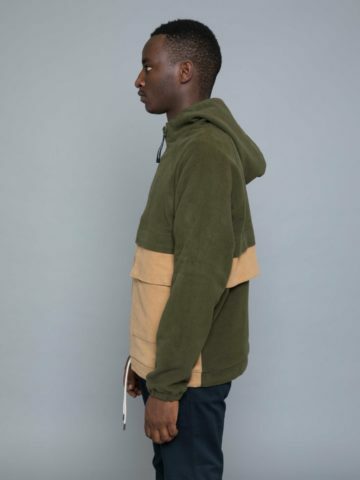 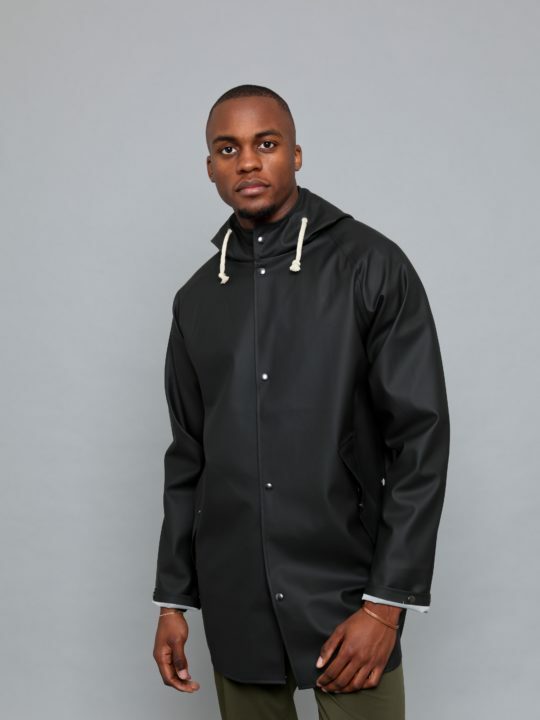 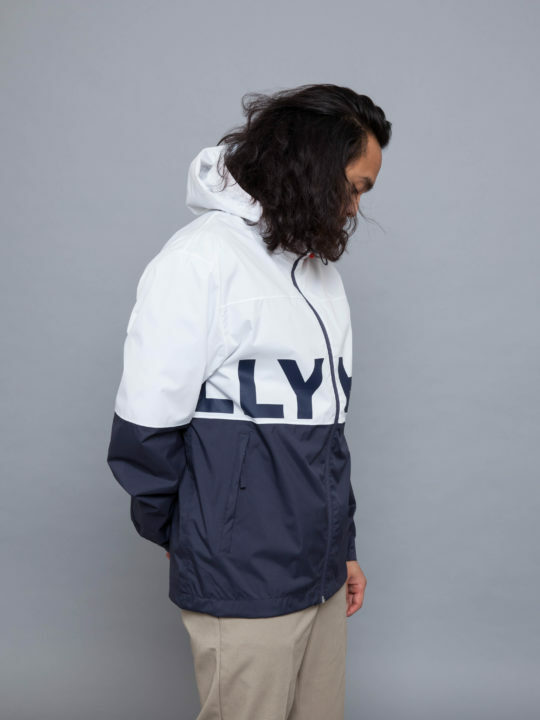 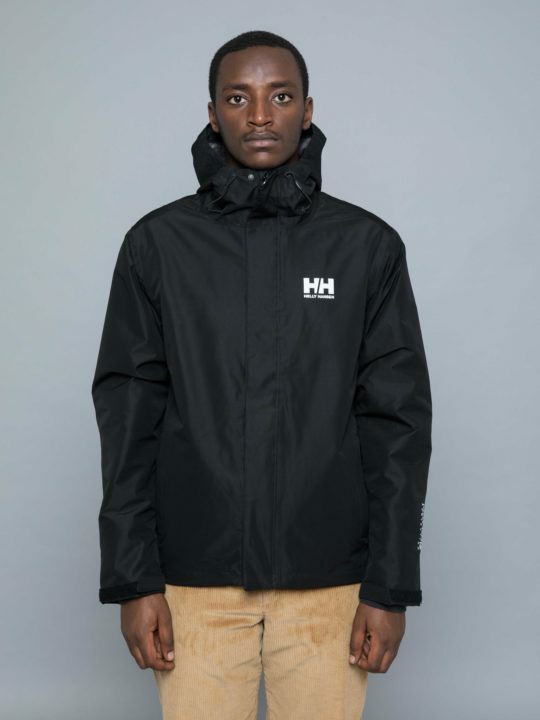 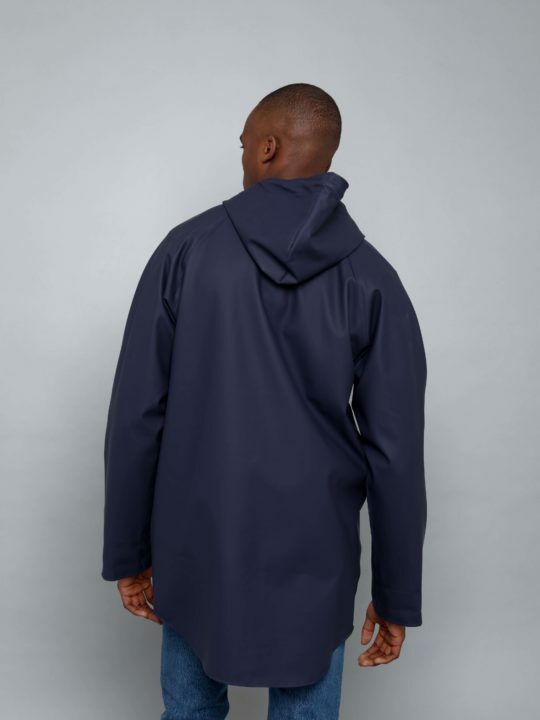 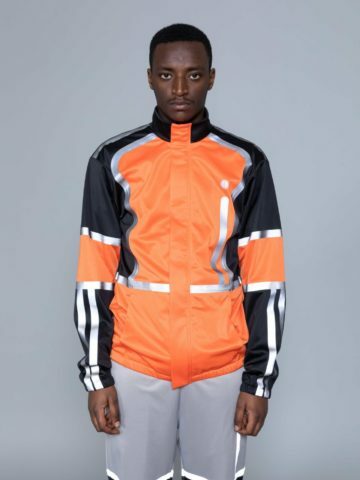 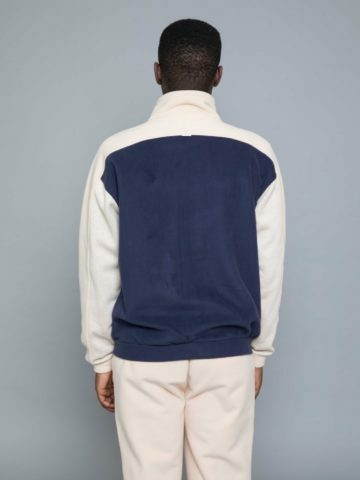 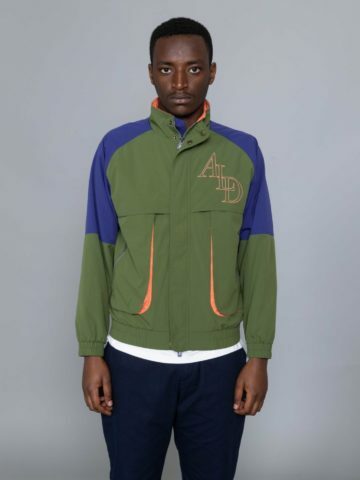 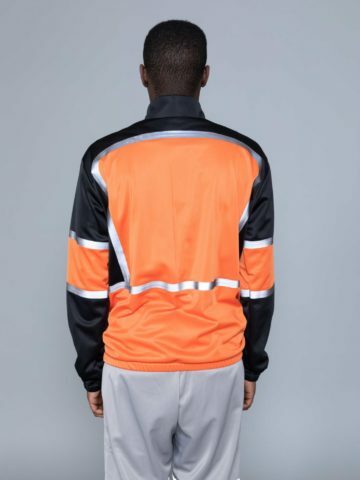 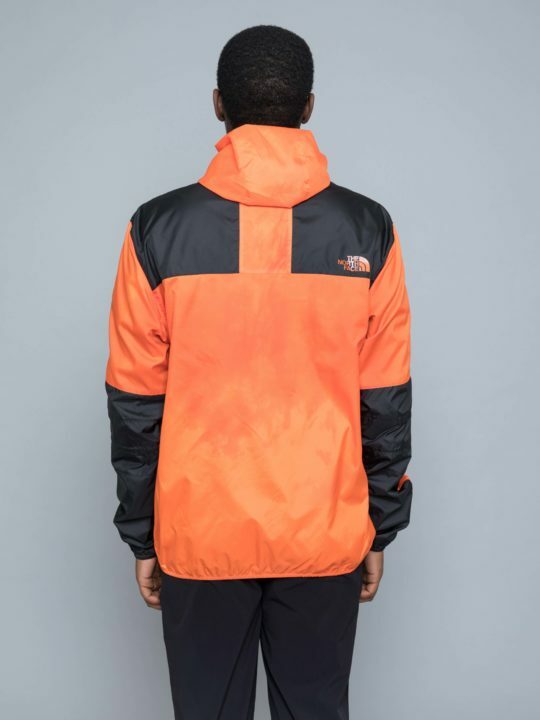 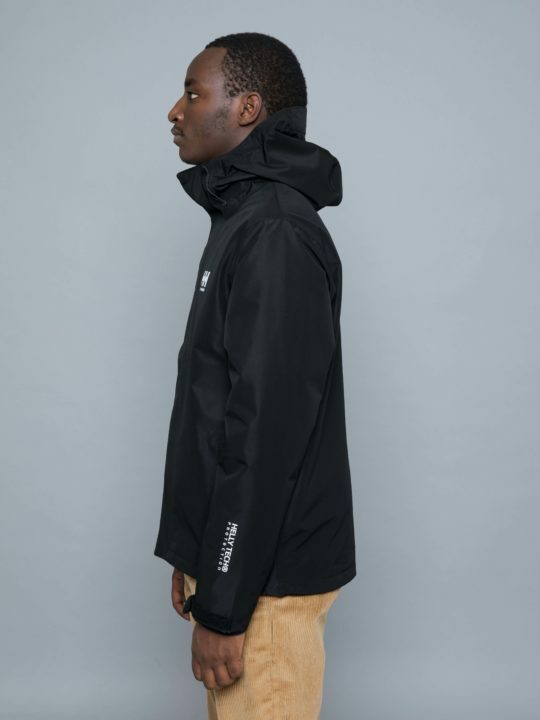 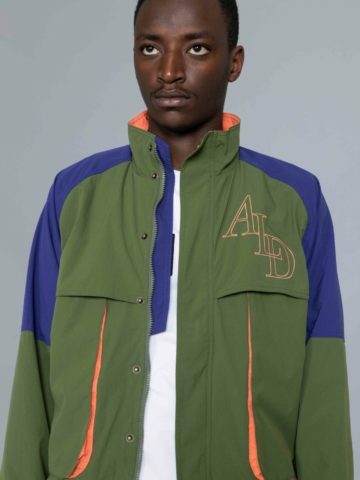 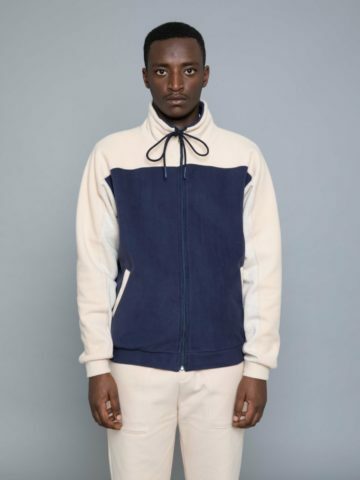 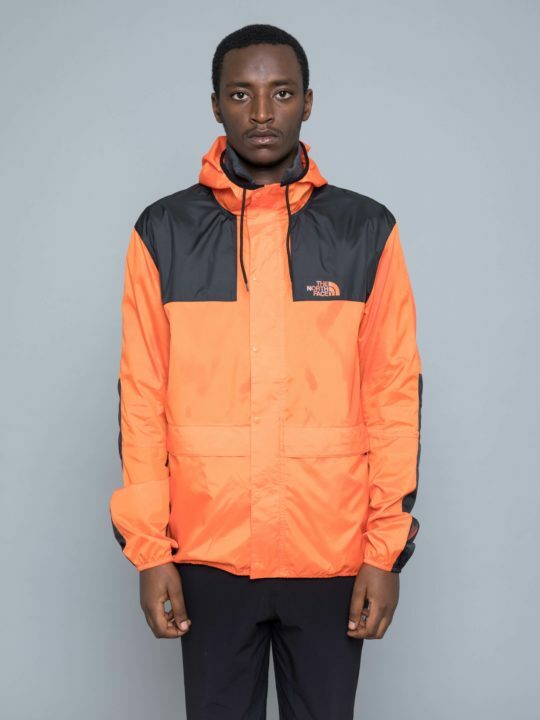 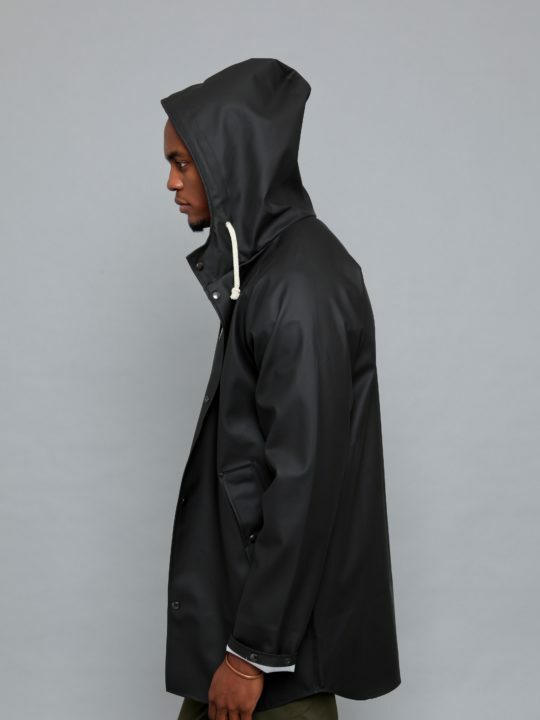 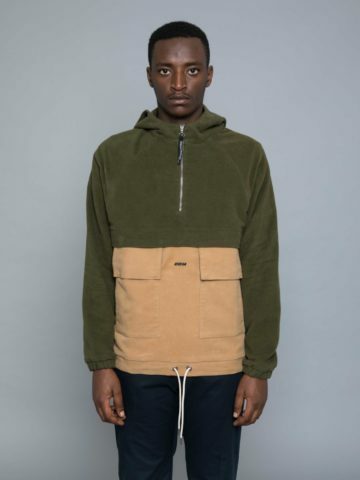 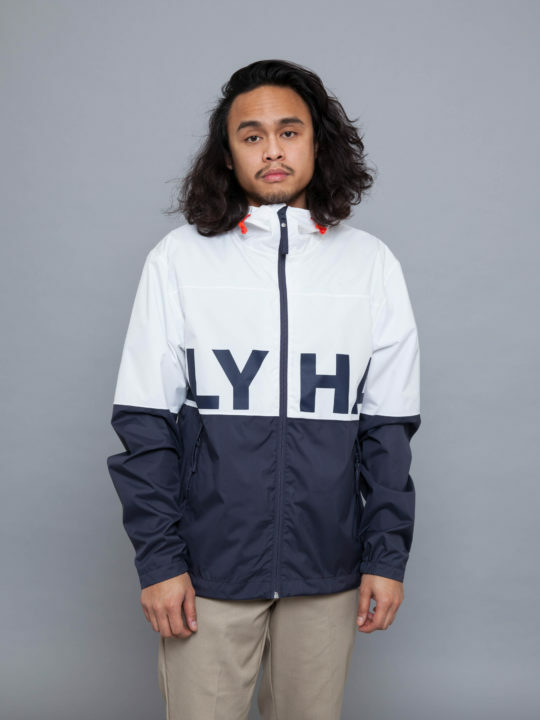 Featuring hood with double drawstrings, stand up collar, raglan sleeves, 4 flap pockets with snap, 2 zipped vertical pockets at chest, double zipper fastening and adjustable strap with snap at cuff.